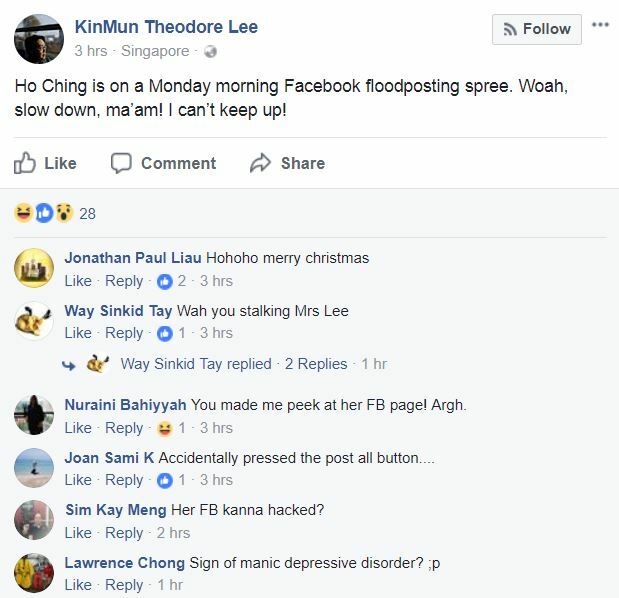 Facebook users following Prime Minister Lee Hsien Loong’s wife, Ho Ching, must have found their news feed flooded with re-posts by Ho after she shared over 100 posts within a short window of two hours, between 7am and 9am this morning. 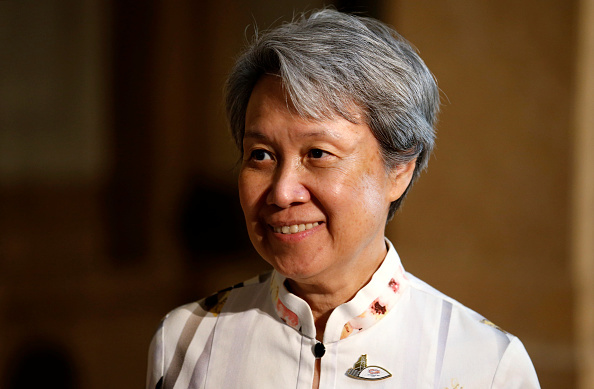 Ho Ching, who also serves as head of Singapore’s sovereign wealth fund Temasek Holdings, shared posts covering a variety of topics, such as environmentalism, warrior women, healthy eating, robotic butterflies, the korean missile crisis, art, diseases, government schemes, motivational quotes, crafts, national service, bitcoin trade, diamonds, the Jerusalem issue, and SMRT workers working on a Sunday. She even shared a cat video. 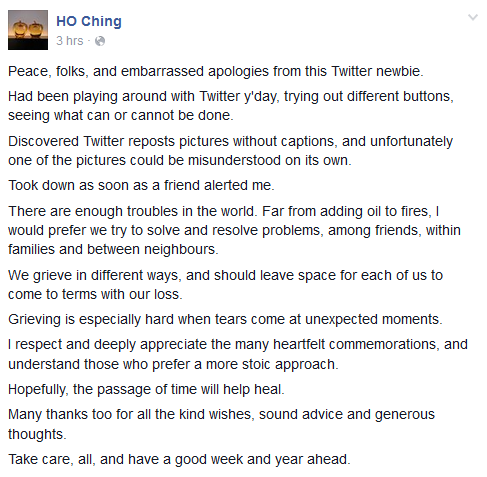 This is not the first time that Ho Ching’s Facebook posts have attracted attention. In April, Ho Ching posted a photo of a monkey showing its middle finger on Twitter. 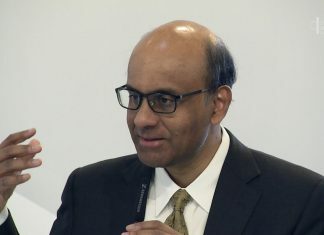 The retweet came just after her sister-in-law Dr Lee Wei Ling publicly criticised the way her father, the late founding Prime Minister Lee Kuan Yew’s death had been commemorated on his one year death anniversary. Social media was ablaze with speculation over what the monkey photo meant. Public attention was so intense over the photo that Ho Ching offered her “embarrassed apologies” the very next day for her post.